If your kiddo loves trains, there’s no doubt that they’ve tuned in to Thomas & Friends television series, books and toys. Once a year there’s an opportunity for Thomas the Tank Engine fans to ride aboard a train that’s pulled by Thomas! A small festival like event takes place at the train station throughout the weekends that Thomas is in town and fans, young and old gather and have a great time. 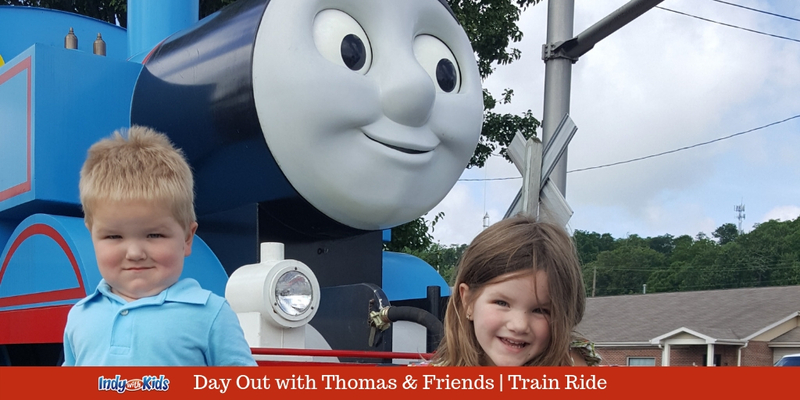 You can find more information about the Thomas and Friends Day Out with Thomas at the Whitewater Valley Railroad – a little more than an hour from Indianapolis. The Nickel Plate Express in Hamilton County, Indiana offers special themed train excursions for children and families and even some fun adults only rides. Visit during the holidays for the Reindeer Ride Express or hop aboard for a unique pumpkin patch experience on the rails during the Pumpkin Express train ride. Expect to see even more great train rides as this railroad grows and grows. While you’re in Atlanta to catch the train, stop in and see the train layout at Mr. Muffin’s Trains, purchase your very own train gear at the Shop and have a warm, delicious meal at the Choo Choo Cafe. The Whitewater Valley Rail Road offers a lot of trains with holiday themed fun; Easter Bunny Express, Pumpkinliner, Polar Express and Santa Claus Express. Train rides at WVRR are designed to fit a variety of budgets, some train rides start at $10 per person. You can also participate in other year round train fun, like renting a caboose for a train ride, learning how to and actually operating a locomotive, family friendly ghost train rides, shopping excursions and more. Lark Ranch in Greenfield and Lark Ranch in Loogootee have quickly become a hot spot for kids who love trains. Lark Ranch is a fall fun destination for Indianapolis families but there’s something at Lark Ranch that you won’t find at other Indianapolis fall farm experiences — a train that travels around the farm on tracks! Kids love it, parents love it, grandparents love it! 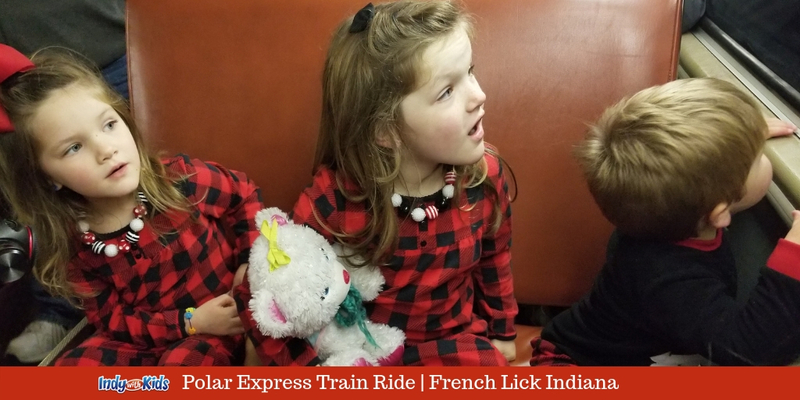 The Polar Express is a fantastic book and movie from many of our childhoods and introducing our children to the magic via a hands-on, experiential train ride, this is what dreams are made of! Children and their parents can enjoy the Christmas themed Polar Express train ride in several locations. The Polar Express train ride in French Lick seems to be the most popular. Whitewater Valley Railroad also offers this themed experience and The Nickel Plate Express in Hamilton County has a similar, Reindeer Ride. You can find other holiday themed train rides that fit within many budgets. The Indiana Live Steamers are a group of train enthusiasts that operate trains that are small scale but run on real track! 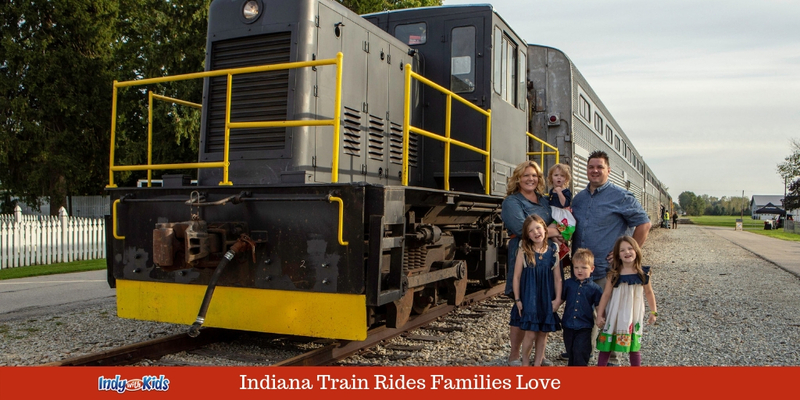 Visiting the Indiana Live Steamers miniature trains that you can really ride on, is a favorite for all train loving kids and their parents. They even offer really cool birthday parties for kids! Admission is only $3 per person to ride and you’ll go over bridges and through the woods. It’s a very unique experience. The Hesston Steam Museum is located three hours north of Indianapolis. Museum admission is free, train rides start at $5. Check the schedule for themed train rides; Santa Train, Civil War Train, Ghost Train and more. Trains run most weekends, May – October + special Christmas themed train rides in November and December.